Welcome to the Weller Haus Bed, Breakfast & Event Center! The Weller Haus Bed, Breakfast & Event Center is a luxury property that strikes just the right balance of warmth and professionalism. Our boutique accommodations offer exceptional hospitality and service where every detail is created to enhance the guest experience. Ideal for privacy, these two 1885 historic homes offer modern conveniences with rooms that include large two-room suites, Jacuzzi tubs designed for a couple, and fireplaces. 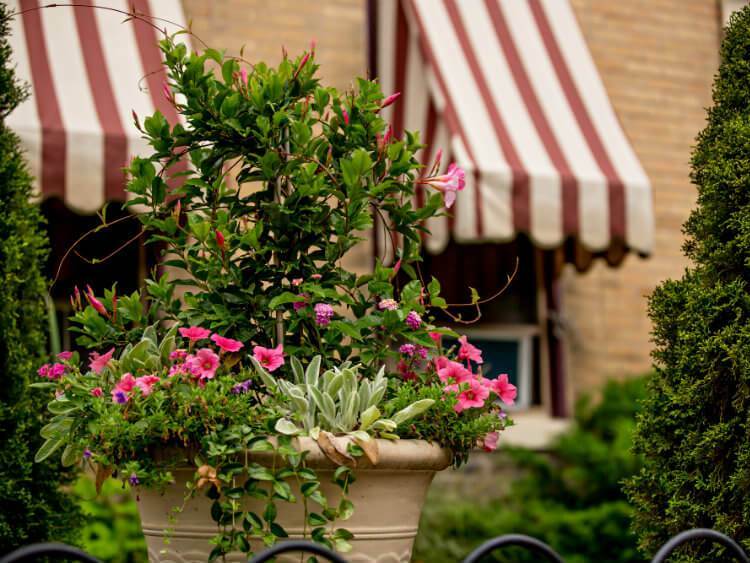 The relaxing ambiance of stunning gardens, scrumptious breakfasts, and cozy common areas provide a break from the excitement of the Greater Cincinnati and Northern Kentucky region. Our urban oasis is nestled in the historic river town of Bellevue, Kentucky, and is within walking distance to the many shops, restaurants and breweries of the area – as well as Newport on the Levee, Newport Aquarium, and the activities on Cincinnati’s river front. The bed and breakfast is in a central location, less than two miles from Cincinnati’s business district; Jack Casino; the Paul Brown Stadium (home of the Cincinnati Bengals); and Great American Ball Park (home of the Cincinnati Reds). For the discerning business traveler, the romantic couple, or a family looking for a getaway, the Weller Haus Bed, Breakfast & Event Center is here to serve you. We take tremendous pride in making every moment count and having our guests feel right at home. The warm ambiance of the Weller Haus Bed, Breakfast & Event Center is the perfect setting for hosting your event. Nestled behind our historic homes, the renovated facility is a unique space that incorporates the charm of our property and stunning gardens for an intimate experience. The venue is ideal for small to medium-sized gatherings and offers customized solutions to meet your specific requirements. In addition to a large room with a variety of set up arrangements, the space includes an adjacent smaller room with a fireplace and bar area, as well as an upper level with comfortable seating for connecting with each other or brainstorming. The full use of our outside garden and patio area ensures that your gathering will be memorable and one-of-a-kind. The Weller Haus Bed, Breakfast & Event Center is perfect for both corporate events and noteworthy life events. 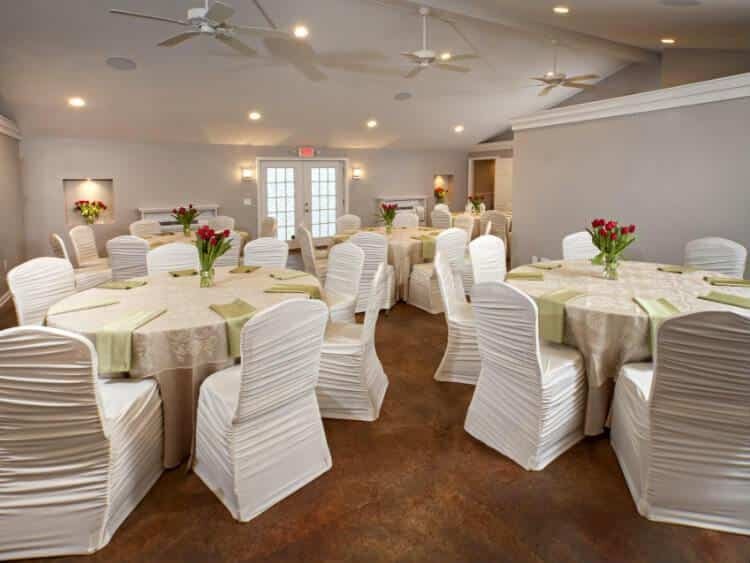 The Event Center has been used for company trainings and brainstorming, award dinners, fundraisers, and holiday parties for corporate and non-profit organizations. We have also been a venue of celebration for retirements, anniversaries, birthdays, reunions, and weddings including bridal showers, rehearsal dinners, and ceremonies held outside in our gardens. Our property can accommodate up to 75 people with the ability to have 50 people for a sit-down dinner in one location. The Event Center is fully equipped for your technology needs and our staff is readily available to assist you with every detail. The experience of our staff, combined with either our professional partners or your preferred service providers, will ensure that your event is successful and memorable.